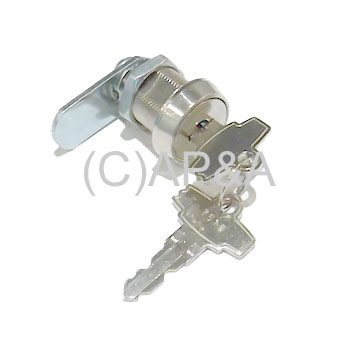 Standard size lock as used on most games for coin door and backbox. 7/8-inch length barrel (threaded portion of lock). Comes with 1-7/16 inch lock tab (overall length, end-to-end). Double-bitted (uses 2-sided key- included). Keyed-alike. Used on most games- pinball, video, etc. Replaces Bally # M-281-22, Data East/Sega/Stern # 355-5008-00, Happ # 42-0641-00, and similar others. Easy to install- requires only a wrench and Phillips screwdriver. Keep that game locked and unwanted hands and fingers out! Lock Rotation: Select above when ordering. This lock normally ships with with a clockwise operation (1/4 turn clockwise to unlock). Some games may require a counter-clockwise rotation, such as the backbox on some late Williams System 11 games (see game list below). Please check your game before ordering to be sure. Not sure which lock your game needs? E-mail us with name of your game and any questions.